We also offer our clients with PVC Ceiling & Wall paneling in order to enhance the beauty of the homes, offices and public places. These are available in variety of colors, shades and patterns and are easy to maintain and clean. These products are flexible and can be easily folded to relocate it from place to another. 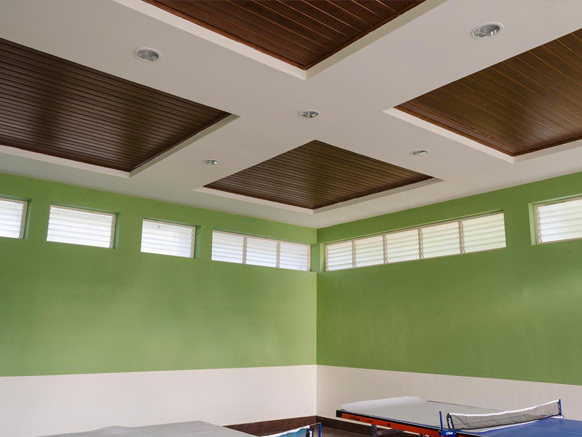 Our range of PVC ceiling and wall paneling can be customized as per the clients specifications and configuration The PVC ceiling & Wall Panellings are non-porous and non-absorbent thus helping in safe fitting of flush , lighting, access-hatches, air- vents and sprinklers.